Hey everybody! 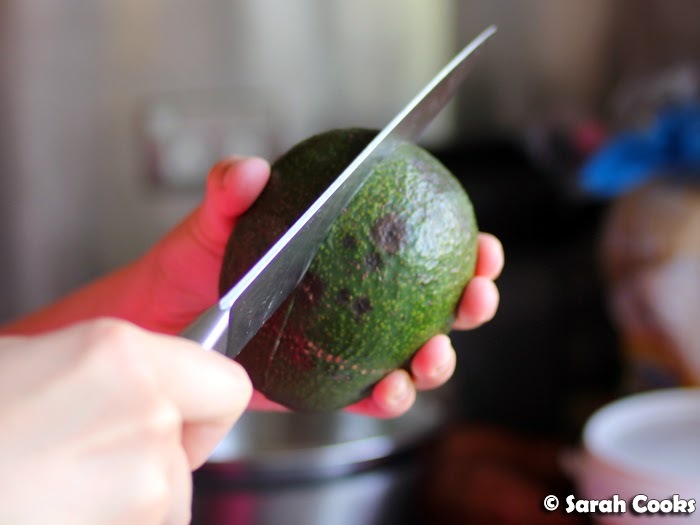 Slightly random post for you today: a tutorial on slicing avocados! 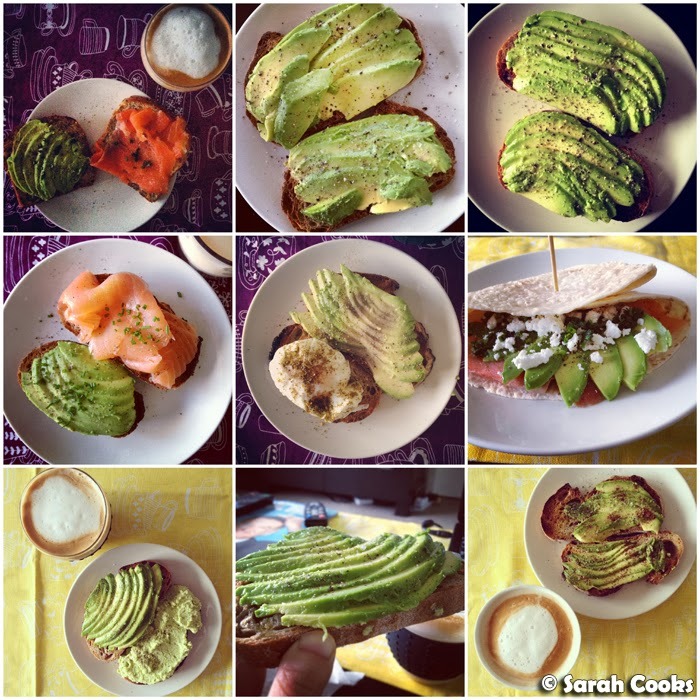 Those of you who follow me on Instagram will know that I love avocados, particularly sliced avocados. I usually have them for breakfast on toast or with smoked salmon, but also in salads or on top of cold silken tofu - delicious! 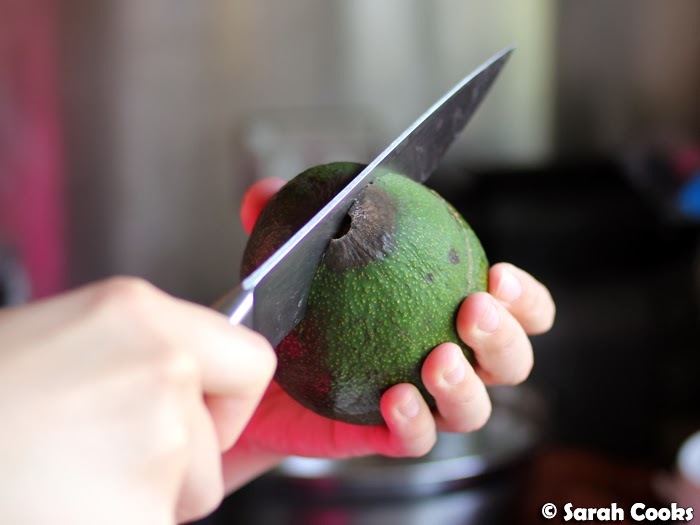 Anyway, a few months ago I figured out this neat trick for slicing avocado, and now I can't stop. 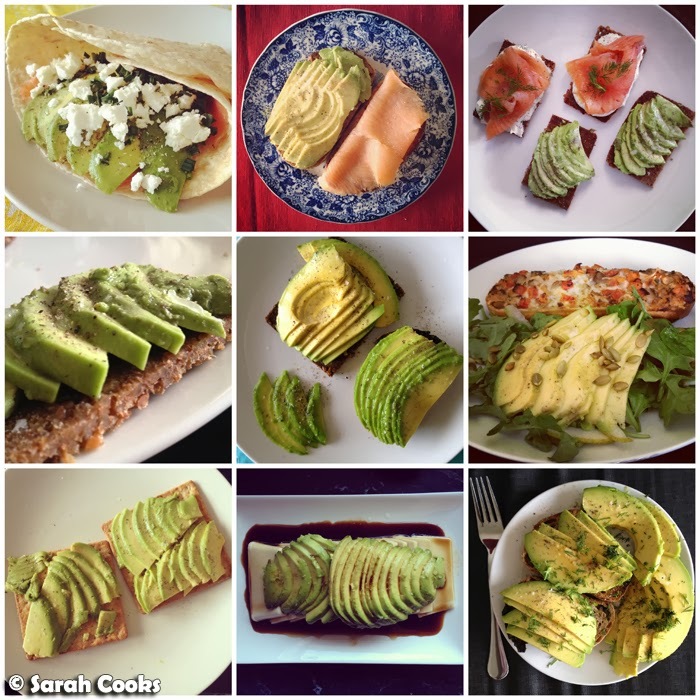 (If you scroll down to the bottom of this post you'll see a series of photo collages of my Instagrammed avocado slices... 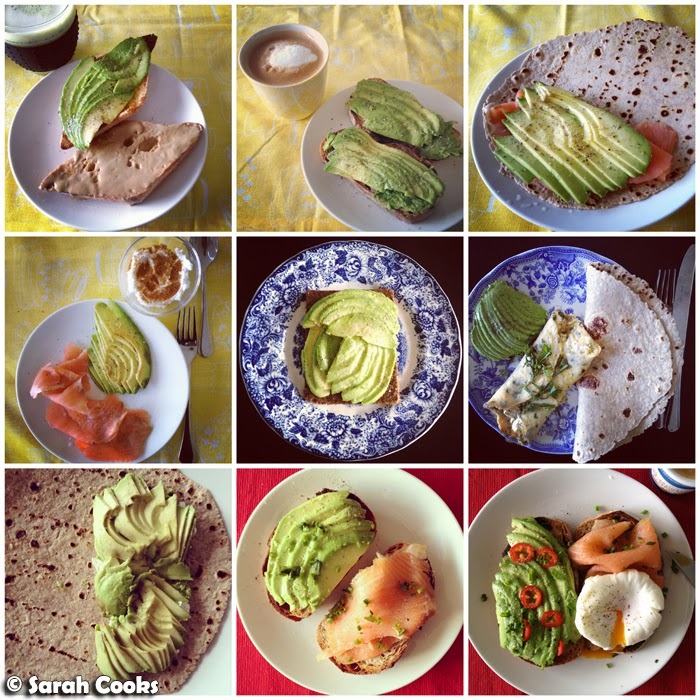 I found THIRTY SIX photos of separate sliced-avocado meals. Eep!) Despite the long series of step-by-step photos, it's very easy, and makes consistently pretty results. If I can do it at seven in the morning, before I've had my coffee, in under a minute, you can do it too. 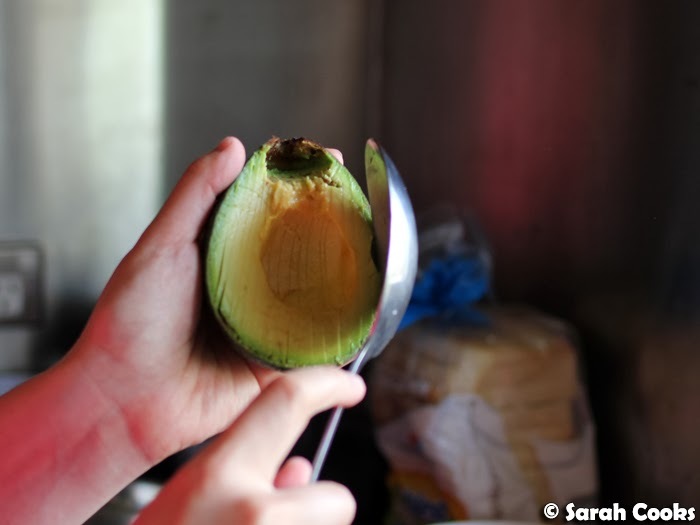 Right now I'm eating these gigantic Reed avocados from Barham Avocados, an avocado farm on the Murray River who offer an avocado subscription service - yes really. A Twitter buddy of mine recommended them to me, and Sandra surprised me by buying me a subscription! Yay! 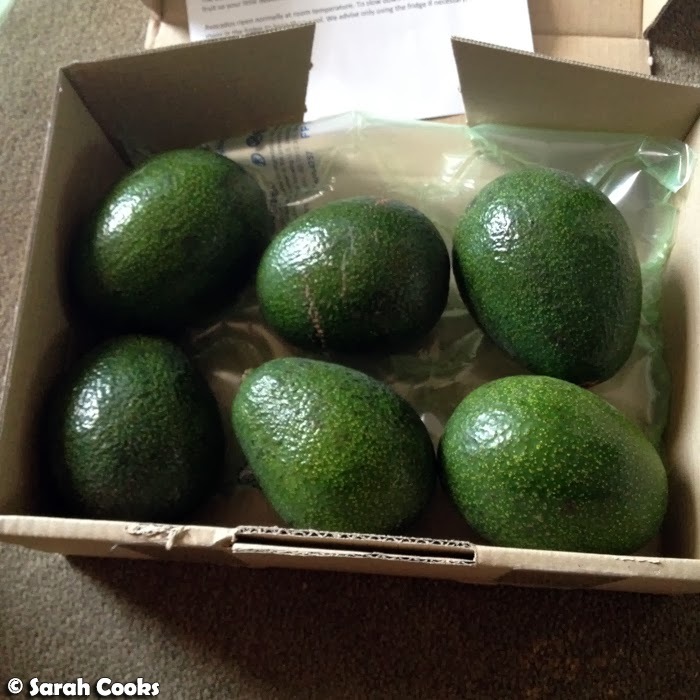 They send you packages of different avocado varieties, depending on what's in season. We've only gotten one delivery so far, but I've been really impressed by the quality. They are a little pricier than the supermarket, but they are HUGE, deliciously creamy, and are consistently better quality - very few brown spots, if any. They're also delivered straight from the farm to your door! The only problem I've found is that they all ripen at the same time, and suddenly you've got six rapidly ripening avocados that need eating! 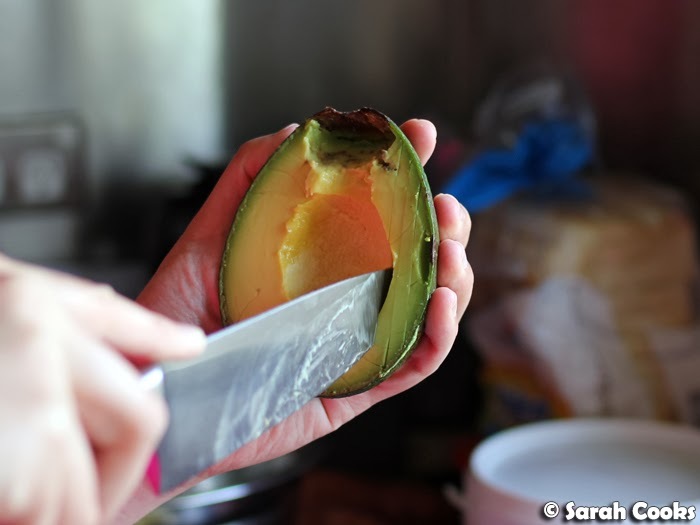 Ok, to sliced an avocado you need: one avocado, a sharp knife, and a big spoon. ... and slice it all the way to the stone. 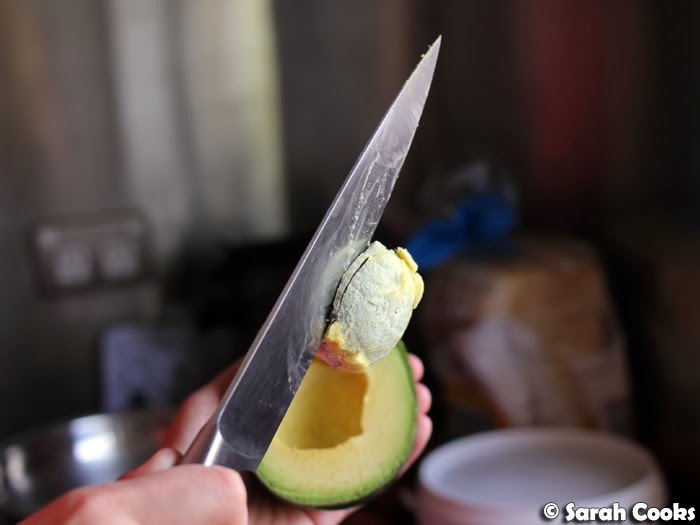 ... rotate the avocado around until the cut goes all the way around. Be careful of your hands! 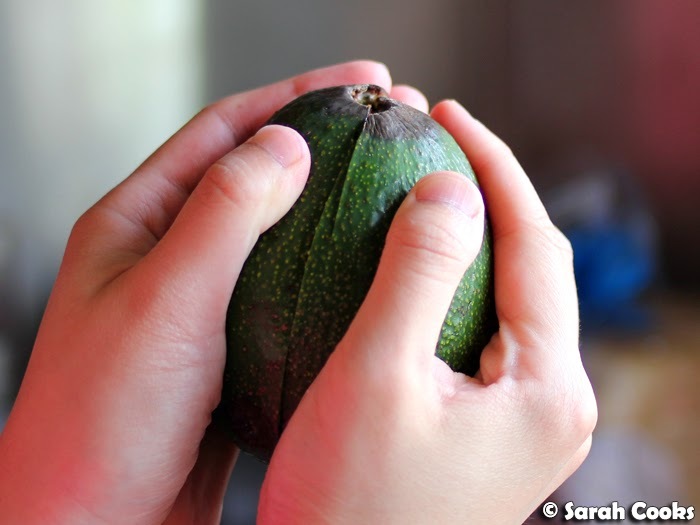 Gently grasp both sides of the avocado and twist gently to bring the two hemispheres apart. 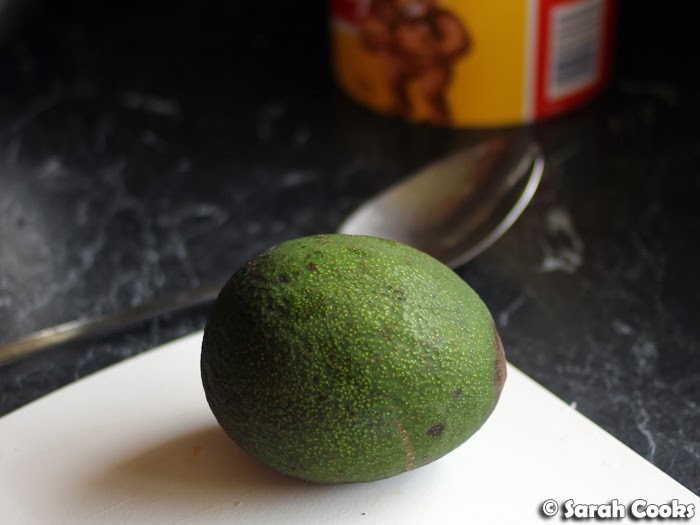 Now, this particular avocado had a little brown spot at the top - which is because I left it a bit too long before eating it, not because it was a bad avocado! 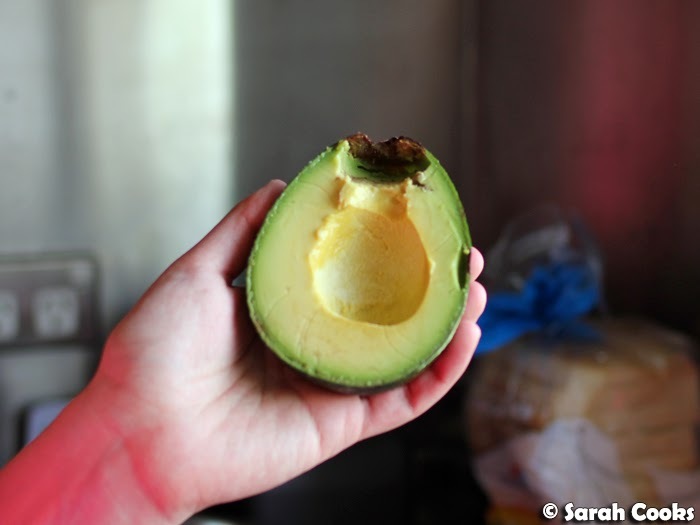 I considered leaving this avocado and using a perfect one for this post, but then I thought that you'd want to learn how to work around imperfections, and even though ideally every piece of fruit you eat will be at its perfect peak of ripeness, you know, life. 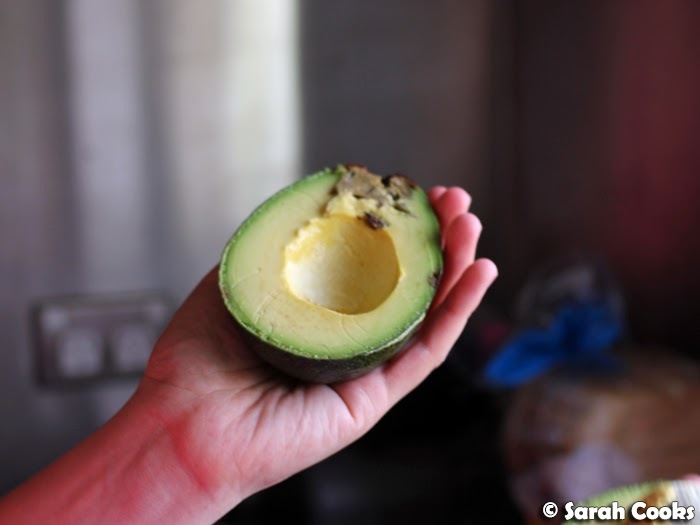 (To reiterate what I wrote above, I've found that all the Barham avocados in this delivery were very good, with minimal brown spots or none). Ok, so now you'll want to get rid of the seed. 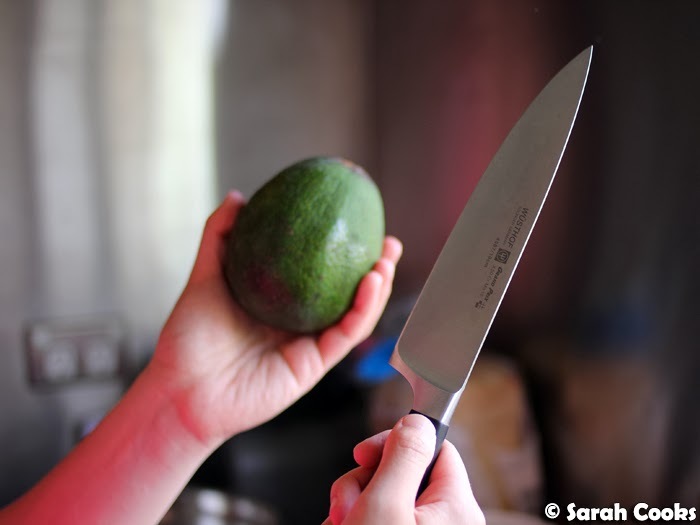 Gently whack the knife into the stone, and twist it to release the stone from the fruit. 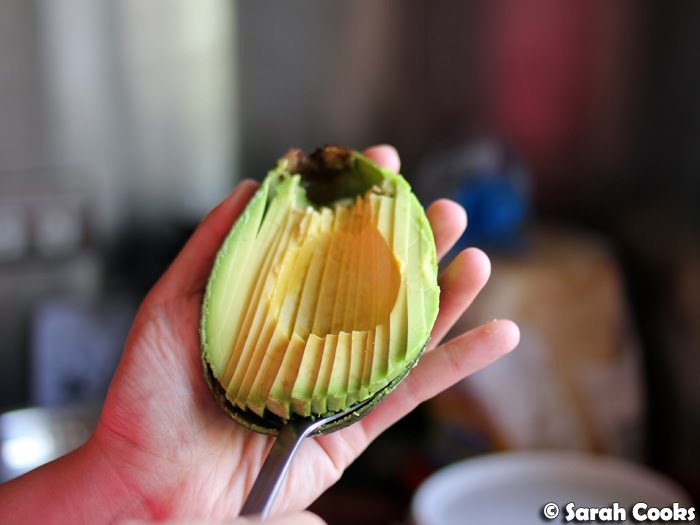 I usually only eat half an avocado at a time - I keep the remaining half in its skin in a little zip-lock glad bag. I pop it in the fridge, and find it's good for a couple of days like that. Next step is to scoop out any brown spots with a teaspoon and discard them. Once it's sliced, you'll need your big spoon. 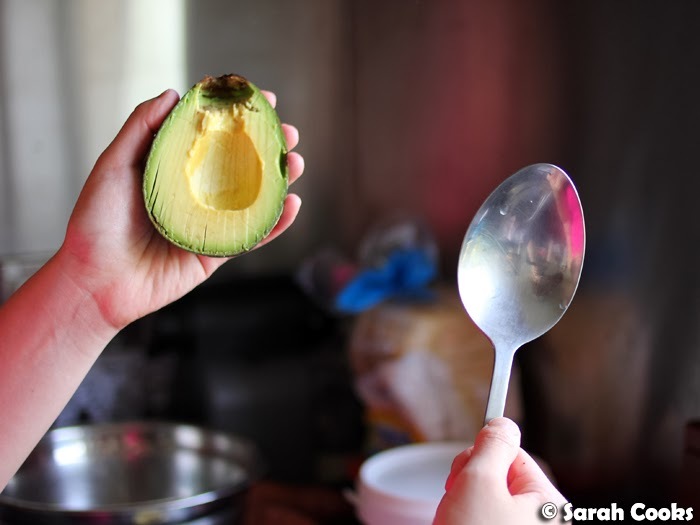 Gently scoop out the avocado flesh with the big spoon, staying as close to the skin as possible. 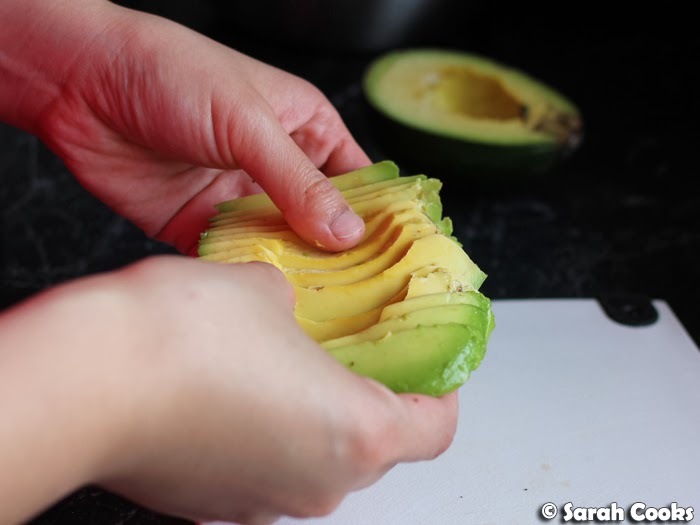 I use my hands to separate the avocado slices. From here you can arrange them either way up - skin side up or seed side up depending on what you think looks best - fan them out like a deck of cards, keep them in a straight line, whatever you like! For breakfast, I always spritz the slices with lemon or lime juice, and add a generous amount of freshly ground black pepper and flakes of crunchy Murray River sea salt. I'll add chopped dill, chives or coriander if I happen to have any in the fridge. 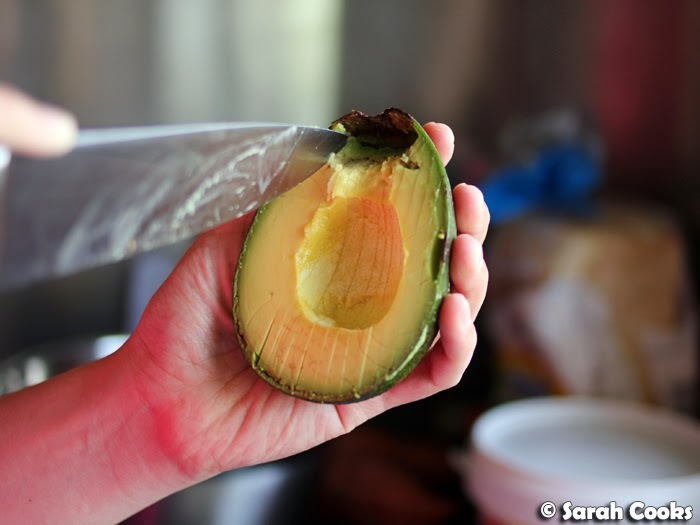 (Lime juice and coriander give you that guacamole-vibe - always fabulous). Sliced chillies are good too, but for some reason I only do this on the weekend. And I'll grate some lemon zest over if I'm feeling particularly energetic. 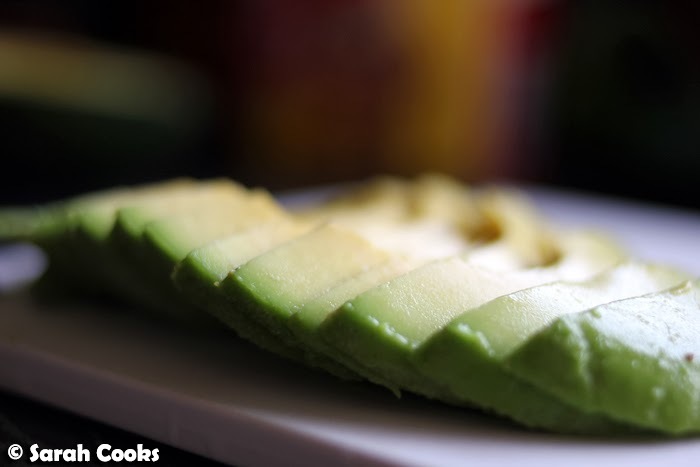 If I'm putting the avocado slices on thick slices of light rye toast, I'll usually drizzle a little extra virgin olive oil on the toast before topping it with the avocado. 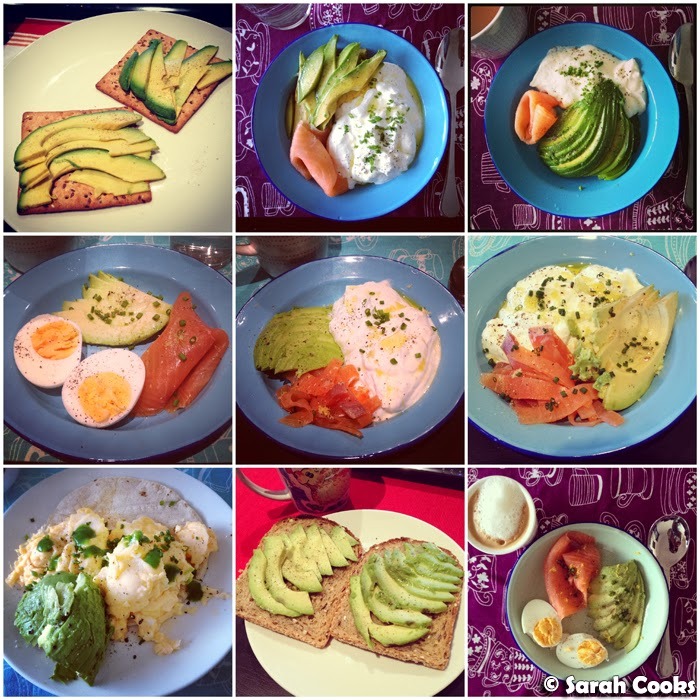 Surprisingly, I'm not sick of avocados yet, but seriously, any serving suggestions or recipes would be greatly appreciated! 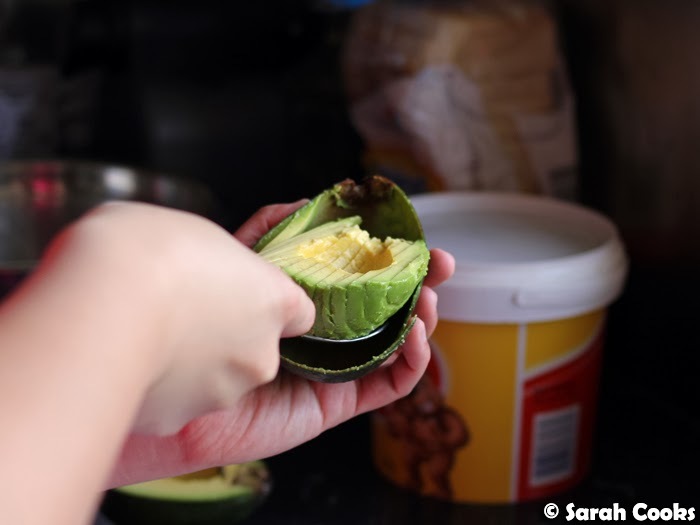 I've been Googling dessert recipes including avocado as an ingredient.... watch this space. 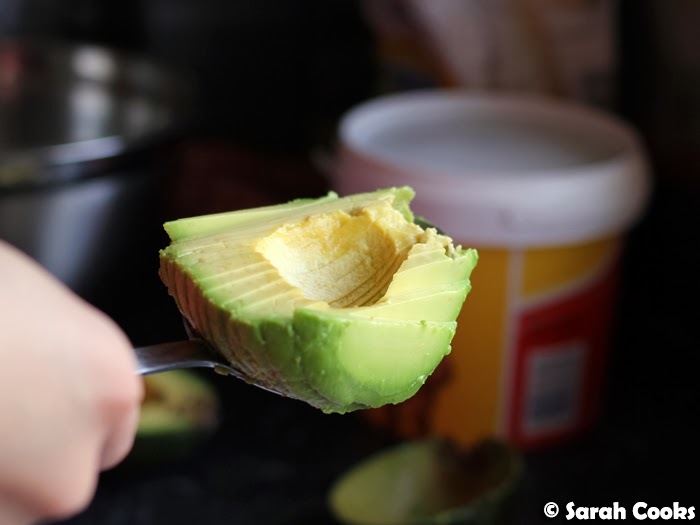 I've been eating a lot of avocado on toast recently, and I tend to prefer what I call "Amanda's patented smushing method", where I just scoop out the flesh and mash it all together on top of the toast with some salt and pepper. LOVE IT. For those times where I actually need to present it nicely though, I think I might use your method! 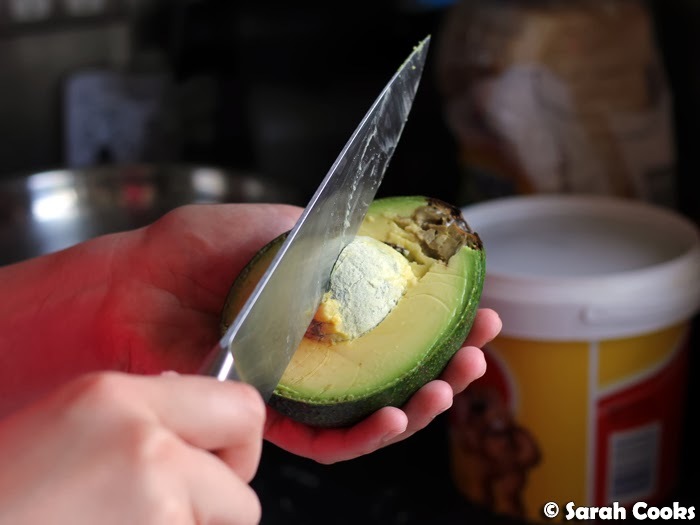 Can't believe I missed this post :) I've always wondered how you slice your avocados so nicely!